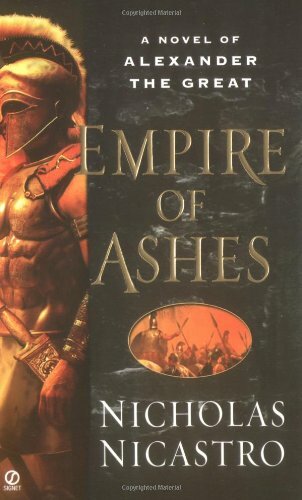 In the aftermath of the death of the conqueror Alexander the Great, the late emperor's friend Machon offers a stunning and tragic take on Alexander's meteoric rise to the heights of power and his ultimate collapse and early death. Original. A STUNNING HISTORICAL NOVEL ABOUT THE YOUNG MILITARY GENIUS WHO TOOK THE WORLD BY STORM In this fantastically evocative novel, the legendary military genius is shown through the eyes of his trusted friend - whose alleged role in Alexander's untimely demise could earn him a death sentence...32 BC. The great Alexander is dead - and the uneasy peace in his former empire is unravelling. Machon, the late emperor's renowned friend and ally, is the scapegoat for Alexander's downfall and is subsequently charged with the capital crime of the corruption of a god. An Athenian and an outsider, Machon is prepared to accept the challenge of his accusers and tell the truth behind Alexander's meteoric rise and fall. From his bloody ascent to power and his string of victories, to the seething hatred of the peoples he conquered, to his slow descent into drunkenness, madness and wanton brutality, this is the stunning and tragic saga of a peerless military leader who proclaimed himself a god - and lost his humanity. Nicholas Nicastro has taught history, anthropology and psychology at Cornell University and Hobart-William Smith Colleges. He has published six novels as well as short fiction, travel, and science articles for "The New York Times", "The New York Observer", "Film Comment", "The International Herald Tribune", and "Archaeology", among other publications. His books have been translated into seven languages. He lives in northern California.